With the Joe Mauer situation on the back-burner, the Twins now can turn their attention to which of their internal free agents they would like to retain for the next season. With five guys slated for free agency, the Twins will obviously have to make the tough decisions on who they should bring back and who they shouldn't. Orlando Cabrera was acquired just hours before last July's trade deadline. The Twins sent prospect Tyler Ladendorf to the Oakland Athletics in exchange for the 34-year-old shortstop. At the time, many expected a move such as this to help appease the vocal, veteran players. But Cabrera was just the beginning of what would be a very busy two week period in which the Twins would add four more players to help down the stretch. With the Twins, Cabrera hit in the two-hole and put up a triple-slash line of .285/.309/.426 with 21 extra-base hits in 59 games. Had Cabrera put up a higher on-base percentage, I would probably be more anxious to bring him back, but someone who gets on base 31% of the time is a liability in the two-hole. Another thing that doesn't excite me about Cabrera is his quick decline in defense. Cabrera went from being one of the best defensive shortstops in the game to one of the worst. Could it have just been a down season? Perhaps. But having an off-year at 34 doesn't really suggest that he's likely to turn it around. But with all that said, I'll be surprised if the Twins don't bring him back. The Twins love the energy and leadership he brings to the team and by all accounts, Cabrera loved his time with the Twins. Cabrera also had a positive influence on a couple of the Spanish-speaking players on the team, primarily Carlos Gomez and Alexi Casilla. Both players are underachievers and would benefit from more bonding from a mentor like Cabrera. Cabrera was hurt badly by a down economy and his Type-A status last off-season but was determined to not get hurt by it again and negotiated in his contract that if he were to gain Type-A status again, his former team wouldn't be able to offer him arbitration. And of course, Cabrera indeed looks to be a Type-A free agent which means that if he leaves, the Twins will not get any compensation in return. Although I think Cabrera is a fine player to have at the bottom of the lineup, I can't stand the thought of the Twins wasting him between Denard Span and Mauer. Although I would be surprised if he doesn't return, I personally hope he's the Twins' backup option while they search for a younger, better player. If he does return, I won't be that upset because I do feel that he can be a valuable player. But I do want to see either shortstop or second base improve. So if he does return, I want to see an upgrade at second base. The Minnesota Twins season ended after one of the best comebacks anyone could have ever imagined. But poor plays and bad calls consumed their time in the playoffs and unfortunately were knocked out by the New York Yankees after just three games. The Twins played great down the stretch when it mattered. And I know some argue that the Tigers just merely blew it (making the argument that they blew it more than we won it), but really it's a rhetorical question and in the end it doesn't matter. Both can be right. And although many are still mourning the early playoff exit, which is obviously understandable, they should also be prepared for what should be the most exciting next 12 months in Twins history. Although we've all been disappointed in the lack of off-season activity before (cough, last year), all signs point to the Twins being fairly active this off-season (like we haven't heard that before). I advise many to take that with a grain of salt to save what could be a big disappointment, but if this July and August were any precursor to what this off-season could hold, then we could all be pleasantly surprised. First and foremost, the most pressing issue is obviously getting Joe Mauer re-signed. The Twins may have been interested in re-signing him last off-season but they took the chance on his back issues lowering his value which we all know didn't happen. Although we all dream that he'll sign for a "hometown discount" because he's gone on record to say that he's not really interested in being the highest paid guy, we all need to also understand that he could merely be saying that from a PR stand point and could still very well put himself out of the Twins' price range. Regardless of which way you look at it, I don't think anyone should feel at all comfortable about the future of Mauer's in Minnesota until he's signed. I personally don't believe he'll leave and I think a deal will get done, but I also thought the same would be true of both Torii Hunter and Johan Santana. Completely understanding that those two don't draw the same kind of ties Mauer does to Minnesota, they both went on record several times stating their desire to stay in Minnesota and for one reason or another; whether it be the front office's or the player's fault, both aren't with the Twins anymore because of money. Needless to say, I sadly can't say I'd be completely surprised if Mauer wasn't playing in Minnesota in 2011. But with that said, I also understand that the Twins understand Mauer's value and with respect to both Santana and Hunter, I think we can all agree that Mauer is a better player than either of them. Which in part is why I do feel optimistic about a deal getting done. Well... that... and the fact that I'm sure that 99% of their fan base will participate in some kind of boycott. So what could it take? Obviously that's a question everyone wishes they could answer and I'm sure not even Mauer knows at this point. Personally, I believe it'll be something around 8-years and $165 million. In comparison, that would be the fourth largest contract in baseball history. Is that a good deal (hypothetically, obviously)? It's safe to say that he could probably get more than that on the free agent market which would obviously mean he's taking a "discount" (if you want to call $165 million a discount). So from that aspect, yes. And with some speculation of a 2010 payroll somewhere between $90 and $100 million, it looks as though the Twins will be able to afford him at this price (or even slightly more than the $165 million). But how much more might the Twins be willing to go? If Mauer all of a sudden wakes up one morning and wants to Dream Like New York (like Tyrone Wells) and demands a contract somewhere along the lines of 8-years and $200 million, I can't say I see the Twins re-signing him. Obviously that's a bit more than my proposed deal, but that invisible 'line' that separates the two isn't really far off from either one. ...it's a pretty safe assumption that nothing will get done until number seven is signed, and while I hope it gets done early, I'm unfortunately expecting it to drag on throughout the off-season which could give the front office plenty of excuses why they're not more aggressive on the market. And sadly, I know that this is still a big probability. Since we're on the subject of playing GM, I think this is the right time to tell everyone of an awesome product. The Twins Centric group of writers have just released an eBook called the TwinsCentric Offseason GM Handbook. The writers of the book are fellow Twins bloggers Seth Stohs (of Seth Speaks), Parker Hageman (of Over the Baggy), John Bonnes (the Twins Geek) and Nick Nelson (of Nick's Twins Blog), so obviously you already know you're getting great content. The four of them give you an overwhelming amount of information over 137 pages in which they put you in the seat of the Twins' GM. They give you a look at potential trade targets, free agents and other hot topics that concern the Twins. It's a great way to support the Twins blogosphere and I know you won't be disappointed. And if you get over there quick, they're giving a free preview of 1/3 of the book. Last week, I gave my picks for both the Rookie of the Year and the Cy Young awards, and today I'll finish it out by awarding my (obvious) MVP votes. 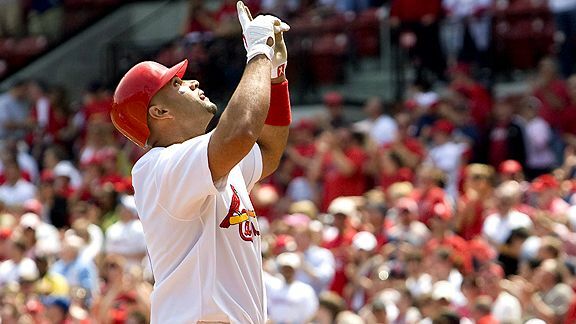 If you're wondering who the best player in baseball is, it's without a doubt Albert Pujols. For those of you not taking advantage of watching as much of him as possible, you're truly missing out. Baring injury, Pujols may go down as one of the two or three best hitters to ever play this game, which is saying quite a bit considering he's never been connected to performance-enhancing drugs in an era littered with controversy. This season, Pujols had one month in which he didn't have an OPS of 1.000. He didn't hit for nearly as much power in the second half of the season, but he finished the year with 47 home runs, which still lead the majors. Some were worried about Pujols' surgically-repaired elbow giving him fits heading into the season, but that obviously proved to not be the case. Pujols has already won the MVP award twice in his career and unless something unthinkable happens, this should be his third MVP award in the last eight years. Again, no surprise here. I'd like to say I predicted this, but I honestly can't say I did. Joe Mauer put up unreal numbers this season. Many doubted his ability to hit for power and actually heald a grudge against him for not being able to, and how did he respond? He went to the Home Run Derby for the first time in his career. And although he didn't win, he did pretty good for a guy with a career-high 13 home runs heading into the season. And just to show the type of season Mauer had, he nearly matched his career-high in home runs (13) in his first month of the season by hitting 11. He more-than doubled his career high in home runs with 28 on the season, which also helped him drive in a career high 96 RBI, despite missing the entire month of April. What Mauer did offensively is oustanding, and when you factor in that he won his third batting title in four season, it makes it all the more impressive. Mauer flirted with .400 for much of the first half, but ultimately had to settle for a career-best .368 average. Maybe I jumped the gun by saying that Pujols is the best player in baseball, because I don't know how much better you can get than Mauer. While Pujols may go down as one of the best hitters in the history of the game, Mauer may go down as the best catcher ever. And what's even more impressive is that Mauer has accomplished this much before even turning 27-years-old. The best of Mauer may be coming, which should scare opposing pitchers. Yesterday, I posted my choice for the Rookie of the Year for both the American and National Leagues, so today I'll keep the ball rolling with the Cy Young award. I honestly can't remember a time in which a league has three pitchers are so close to one another in the Cy Young voting. While there is one guy that likely won't win it, he does need to be mentioned. Adam Wainwright had an outstanding season in which he lead the National League with 19 wins and 233 innings pitched. He also finished in the top five in ERA, and while most years those numbers would certainly be enough, he'll likely finish third this season in Cy Young voting. To me, it's really a coin flip between Tim Lincecum and Chris Carpenter, and a case could certainly be made for both. And I'm going to take the easy way out and say that these two are both equally deserving of this award and should share it. I know players sharing an award is pretty lame and probably won't gain much support, but I couldn't choose one over the other. On one hand, Lincecum is the most dominant pitcher in baseball and was in the top five in wins, ERA, strikeouts, innings pitched and WHIP. After winning the award in 2008 with outstanding numbers, he improved in most of his statistical categories this season. He lowered his walks, ERA, WHIP and BAA. As for Carpenter, what he did this season may be more impressive as he had only appeared in five games - prior to this season - since 2006. After winning the Cy Young award in 2005, he had a successful 2006 season but fell short of defending his title. 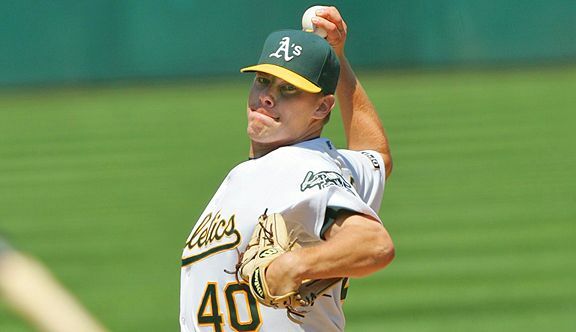 After injuring his elbow on Opening Day in 2007, he took a few months off to rehab before ultimately undergoing Tommy John Surgery in the middle of the 2007 season. He returned late in 2008 and put up great numbers in limited action, but nobody expected his first season back from surgery to be this successful. This season, Carpenter lead the National League in ERA and finished in the top five in Wins and WHIP. He only gave up more than four runs two times this season. If he could take back those two starts, he would have been 17-2 with a 1.73 ERA. That's not a reasoning to vote for him, but it does go to show just how good he was. One thing that will hurt Carpenter is having his teammate stealing away votes from him. I don't know who'll win this one. I think that most voters will go with Carpenter because of leading the league in ERA, having more wins than Lincecum and also being on a winning team. But I think it's a really close race that will be one to pay attention to. Who'll Likely Win: Chris Carpenter - P - St. Louis Cardinals. Unlike the National League, this race isn't even really close. And although many people will name a few guys that should be mentioned, there is just one player that is far and away the clear winner. And it's no surprise that it's Zack Greinke. There was no pitcher in baseball this season or even in the past couple of seasons that put up numbers like Greinke did, and had Greinke been on a team other than the Royals, his numbers would have been even more impressive. Why is that? Because while he did win 16 games, he also lost eight times. So what? Well out of those eight times, in four of those games he gave up three runs or fewer. He also had eight no decisions in which he gave up three runs or fewer. On average, he received less than four runs of support in his starts which is just attrocious. Greinke put up remarkable numbers and it's amazing to think that in 2006, Greinke nearly walked away from the game at the age of 22. He took most of the 2006 season off for personal reasons but returned in 2007 and was ready to show-off his skills. Greinke has always had enormous potential and it's great that he's finally showcasing it. 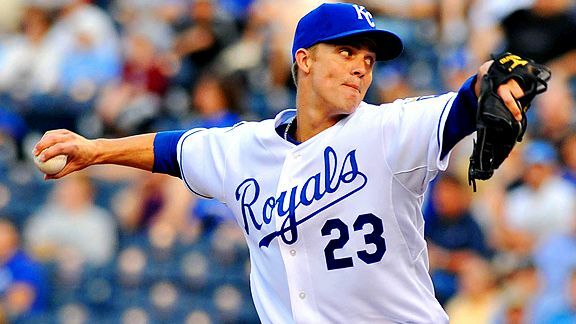 Greinke seems to be in favor of staying away from the larger markets as he's a very personal guy who doesn't like the attention, so unfortunately, his biggest opponent will likely remain his own team from now until the Royals get a better lineup. The NL had a few rookies make big impacts on their teams this season. Off of memory, I can't remember a year in which a league featured so many rookies that should be mentioned for Rookie of the Year. To me, there are eight candidates that someone could make a compelling argument for. But to me, one guy stood out more than any of the others. While Andrew McCutchen, J.A. Happ and Chris Coghlan seem to be the popular choices amongst most predictors, I think that one guy is being over-looked. 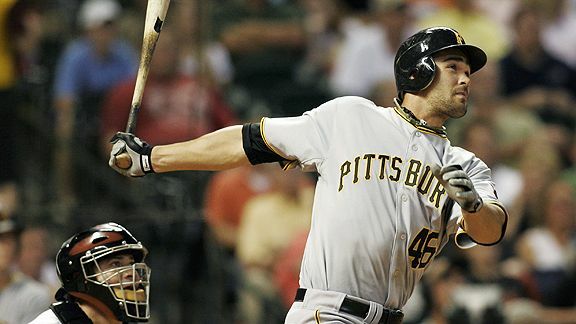 And that is Garrett Jones of the Pittsburgh Pirates, my choice for NL Rookie of the Year. Unlike the rest of the players (besides Casey McGehee), Jones never carried the illustrious "Top Prospect" status that these other players have at one point or another. He was drafted by the Atlanta Braves in 1999 and later cut after posting marginal numbers in three rookie ball seasons. 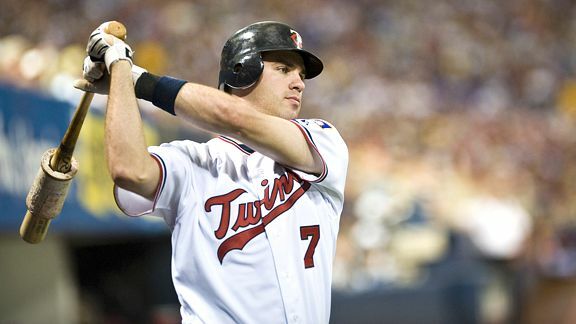 He was signed a few days later by the Minnesota Twins where he spent seven years in the organization, eventually making his Major League debut in 2007. But with guys like Michael Cuddyer (RF), Jason Kubel (DH), and Justin Morneau (1B) blocking him, Jones never got an opportunity to do much of anything for the Twins. He failed to make it back to the Majors in 2008 which eventually lead to the Twins cutting him after the season. The Pirates then stepped up and the (now) 28-year-old Jones a shot. He started this season with the Indianapolis Indians in the Independent League, the same league he's started at every year since 2005. He played well and was eventually called-up by the Pirates in late June to take the place of Nyjer Morgan who was traded to the Washington Nationals. With McCutchen, the Pirates' top prospect, handed the reigns to center field and three other players looking for playing time in the outfield, it looked as though Jones was going to have to earn his playing time. But thankfully, the Pirates decided to start him everyday to see just what exactly they had in Jones, and he surpassed any expectations the Pirates had of him. He hit ten home runs in the month of July, earning himself NL Rookie-of-the-Month honors, before finishing off the season with 21 total home runs in just 314 at-bats. He also helped make a futile Pirates team fun to watch, which in itself is saying a lot. In no way should any Twins fans feel upset over the Twins not holding onto this guy. While I'm sure many would have liked to see him stick around, I really can't blame the organization for cutting him, especially when we have an All-Star first baseman and (at least at the time) five outfielders competing for four spots (DH). Jones just needed the opportunity, which I'm glad the Pirates gave him. Hopefully he can become a cornerstone player for the (always) re-building Pirates. The AL also features an octuplet of deserving rookies. Although the NL's crop of rookies may have put up more impressive numbers, this A.L. group featured more high profile prospects including five players from my pre-season Top 50 MiLB Prospects for 2009. Here are my most deserving American League rookies. The first five of those players all appeared in the pre-season list, and all lived up to their hype in their rookie seasons. To me, there are two guys that are pretty equally deserving. One being Andrew Bailey of the Oakland Athletics and the other being Gordon Beckham of the Chicago White Sox. To me, you couldn't go wrong with picking either. Beckham did great things for the White Sox after being recalled in June. He hit for power, drove in runs and filled a position of weakness for the White Sox. In just 378 at-bats the former Georgia Bulldog hit .270/.347/.460 with 14 home runs and 63 RBI. Had Beckham played the entire season, he likely would have finished with somewhere around 20 home runs and 100 RBI. But unfortunately for him, he didn't, which is a huge reason why Bailey to me is the most deserving. Closing out a game is a high profile job in Major League Baseball. Generally teams will pay top dollar for a guy that comes in to throw sometimes just a handful of pitches to earn a stat that some believe is the most overrated stat in the game. But to me, it requires something special to close out games night-in and night-out and while I do think that closers are paid too much for the amount of work they put in, I do understand why teams would want to invest in a player that does it well. Obviously, having only 50 save opportunities as a team hurts Bailey. The average team in baseball this season had 60 save opportunities, which would put the Athletics well below the average. Had the team been closer to the top of the standings, it's obvious that more save opportunities would have been presented to Bailey. But regardless, Bailey was unbelievable this season and deserves this award. My arm hurts from waving my Homer Hanky, my clothes smell like I sat inside a cockpit for two days (or how I'd imagine your clothes would smell under that circumstance), my throat hurts from yelling at the top of my lungs, I evidently missed a (surprise) mid-term while skipping class and I probably won't be able to fall asleep tonight because my heart rate hasn't dropped to my normal state since I left. But could you honestly ask for it any other way? Last year, after 162 games were over, the Minnesota Twins and Chicago White Sox had to determine the division winner by having a one-game playoff in Chicago. A year later, the Twins and Detroit Tigers find themselves in the same situation. But unlike last year, the Twins hold a significant advantage heading into Tuesday's season-deciding game. As some may remember, the venue of the Twins and White Sox playoff game was decided by the flip of a coin. But soon after the Twins lost the coin flip and then to the White Sox, Major League Baseball implemented a rule change which stated that the venue of any one-game playoffs will not be by the sheer dumb luck of a coin flip, it will be by who has won the season series, which in both last year's case and this year's case would be the Twins. Since the Twins beat the Tigers in ten of 18 games this season, the Twins will host the Tigers on Tuesday at the Metrodome. Under normal circumstances, the one-game playoff would be held the day after the season ends. But as many know, the Metrodome is holding a different event on Monday (I'm not going to even mention it as I'm sure everyone already knows) which is why the Twins and Tigers will play on Tuesday, one day before the start of the playoffs. In their effort to tame the Tigers, the Twins will send Scott Baker, the undisputed Ace of the Twins' pitching staff. After a poor start to the season, Baker has settled in and has given the Twins a great chance to win time after time. In fact, since the start of June, Baker is 13-3 with a 3.62 ERA in 23 starts. Baker's repertoire features a great fastball, a slider, curveball and a change-up. According to Fangraphs.com, the effectiveness of Baker's fastball is behind that of only Zach Grienke and Justin Verlander's in the American League, two Cy Young candidates. In turn, the Tigers will try to stop the streaking Twins by sending Rookie-of-the-Year candidate Rick Porcello to the mound. At 165 innings, Porcello is over the Tigers desired inning count on the season, which along with his overall experience makes some wonder if the 20-year-old is ready for such a big game. The other viable possibility is to have Edwin Jackson start on three-days rest, but nothing has been suggested to make me believe the Tigers are actually considering that option. Porcello has made four starts this season against the Twins, but despite having an ERA of 3.09, he's won just once while losing twice. Both losses came on the turf at the Metrodome, a surface on which he's struggled on all season. On top of that, Porcello will be responsible for halting a fired-up Twins offense that has scored 36 runs in four straight victories, lead by the efforts of Jason Kubel and Delmon Young. The two corner outfielders have gone 15 for 33 with six home runs and 19 RBI in the four game win streak. And luckily for the Twins, both have had success this season against Porcello. The two are a combined 12 for 20 with three doubles against the Tigers youngster. Despite nearly everyone counting them out just a few weeks ago, the Twins have proven just why they're one of the best organizations in baseball. They have shown a resilience that other teams could only dream of and even more importantly have given their fans a team to be proud of. Even when their were overwhelming odds against them, and just about all of us gave up on them, they never quit on us. Reports came in Tuesday night that Dominican prospect Miguel Angel Sano and the Twins have agreed terms on a contract. On the surface, to many, this isn't a very big deal at all. But in reality, it's huge news for the Minnesota Twins and I think Twins fans should be well aware at what this signing means for the Twins. It also couldn't come at a better time as the Twins struggle to stay afloat in the American League Central. Sano is reportedly being handed a $3.15 million signing bonus, a solid dollar amount for both Sano and the Twins. Speculation mounted over Sano's true age prior to July 2nd, the first day International free agents are free to sign with potential ball clubs. The speculation grew into an investigation by Major League Baseball that ultimately has come up inconclusive. After tests showed that he was between the ages of 16 and 17, not much new has been reported since the start of the investigation (unless of course, I just missed it). With an investigation over his head, Sano's projected cost plummeted. At the price that Sano signed, it was a good deal for him, although probably not the deal he was originally looking for, and it was also a great deal for the Twins. And although the investigation may not be completely over, the contract is contingent on Sano's ability to acquire a work visa, something he can't do if he's caught lying about his age. Minnesota is getting a player who has drawn comparison to Albert Pujols, Hanley Ramirez, Alex Rodriguez and Evan Longoria to name a few. Even though comparing a teenager that hasn't picked up a ball in the United States is beyond worthless, it does show the skillset that Sano has. At 6'3'' and 190 lbs., Sano has great potential in his frame and although he's currently listed as a shortstop, he's expected to switch to either third base or the outfield as he continues to fill out. Meanwhile, Sano is coming to an organization lacking a top prospect, meaning he'll likely receive great treatment once he's over here. This move is just one of several albeit surprising moves by the Twins' management this summer. During the draft, some questioned the team's reasoning for drafting four college pitchers in the first three rounds, especially when this organization hasn't necessarily had problems developing pitchers through the years. It immediately turned out alright as three of the pitchers combined to go 4-0 with a 1.92 ERA in 42 innings this summer. The first round pick, Kyle Gibson, signed late but was a top five talent prior to fracturing his forearm before the draft. Gibson signed late, but his signing was a huge win for the Twins as Gibson always had the option of going back to college if he didn't like his contract. The Twins in the past have stayed away from amateur players (primarily in the draft) that could demand top dollar amounts. For instance, the organization drafted Ben Revere in 2007, which in hindsight has worked out great, but is a move clearly motivated by finances. While many teams draft with the player's signability in mind, the Twins (at least in the past) have seemed to use that as their starting point in drafts. Another surprise came when the Twins inked outfield prospect Max Kepler to a deal for $800,000. It was the largest signing bonus given to any prospect not from the United States or Latin America. But that price might be very well worth it as Kepler's been talked about as the highest rated prospect to come from Europe in...well...ever. Kepler, like Sano, is listed around 6'3'' and 190 lbs. and he too is considered a five-tool prospect. Both will also likely start their professional careers with the Gulf Coast League Twins in 2010. The Twins' management have been very aggressive this summer in signing amateur free agents, and it probably is fair to say that the management will remain aggressive this off-season whether it be in free agency or in trades. Bill Smith hasn't had the greatest success from the players he's signed, but you can't knock his lack of trying. When everyone became upset at the trade deadline for not addressing either the rotation or bullpen, he pulled through and acquired Jon Rauch, Ron Mahay and Carl Pavano, three players that have played big roles for us down the stretch. In no way am I suggesting that Smith deserves a medal of honor for these moves, but I love the recent moves he's made. And although he did give them the contracts, you can't blame Smith if these prospects don't work out. The bottom line is that he's being aggressive in an area we generally aren't, and although we all want that money to be going towards high-buck free agents, keep in mind that Nick Punto is making $4 million next season while Sano will be making $3.15 over the course of the next few years. While that's a bad example (as Punto's contract is pretty horrid and you can't use that as a reason this is a good deal), the bottom line is that this could be a great investment for the Twins and I hope that they'll remain aggressive in years to come while pursuing amateur free agents.